Glamorous. That is what I see when I look back on these pictures. Kayleigh wanted a nod to the Great Gatsby and she got it. From her form fitting, classic dress and her bridesmaids in sophisticated black with their fur shawls to their reception decor. Their bouquets added a pop of dramatic color in shades of deep purple. The guys looked dapper in their tuxes with deep purple to match the ladies. 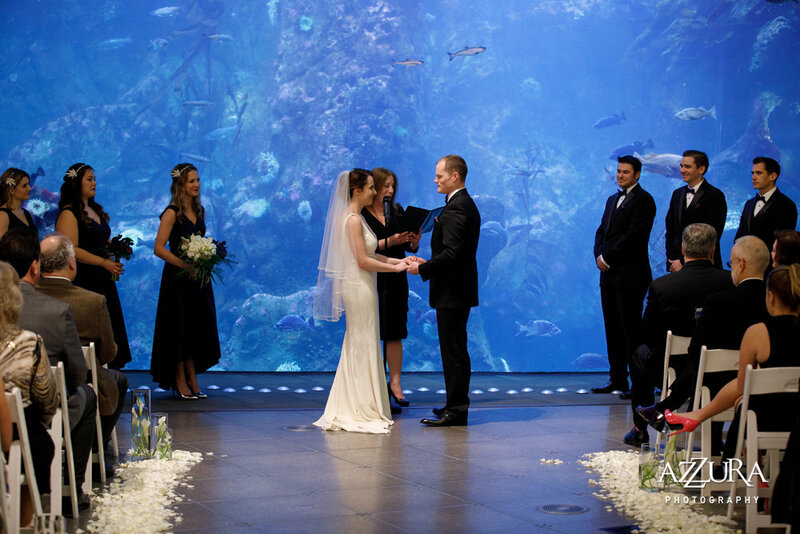 The Seattle Aquarium is such a unique space to say your vows and celebrate with your friends and family. Azzura Photography captured this so beautifully...my favorite, the octopus picture!!! The huge aquarium is an amazing backdrop for your ceremony, so we kept the decor simple because of this. For the reception we kept with the dramatic black and white decor, black linens, white flowers and amazing white feather arrangements. Kayleigh & Crimson Haze Lighting came up with the perfect detail to bring the centerpieces to life...lights! It looked so amazing with the uplighting all around the venue. They had an amazing night dancing to the live band...which I always think is a fantastic choice!!! I love how everything came together. 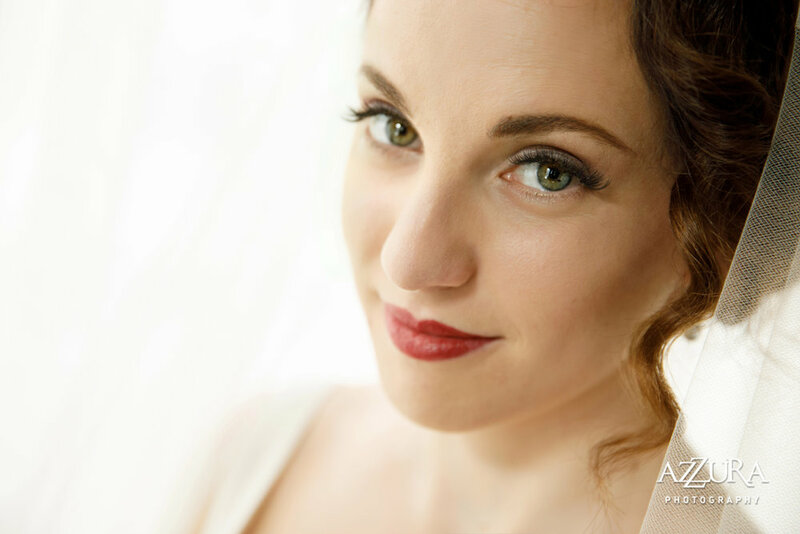 Classic, swanky and all around a good party.